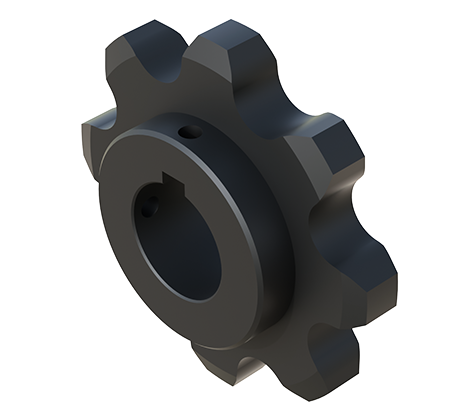 Black Ace Pintle Chain Sprockets are manufactured with the highest integrity. You will realize value, as these sprockets are flame-cut and machined with the highest precision available on the market. ASME Standard Torch Profiles – Elongated root design promotes a self-cleaning effect of the root, to keep your demanding applications moving. Split Style Construction – Once you use a Split Sprocket, you may never want to use a solid style again. Removal or installation is a breeze. Can be used in virtually all applications. An additional benefit to Black Ace’s split sprockets is that the shaft/keyway security is much tighter than a typical setscrew mount.